During the holidays, giving gifts of food and presents to families in need is very much in keeping with the spirit of the season. This is a guide about charitable giving ideas for the holidays. Every year I am strapped for money this time of year and see on my local news where to drop off food and other items for our shelters and food banks and wish I could donate to my community. So this year starting right now I have a plan and a hefty donation for next year, all easy on the budget. It is simple. Every week when I shop for groceries or when there is a exceptional sale on canned goods I will buy through the year for my donations. At home I will have a designated place to store these goods. It is very important to look at the expiration dates on the goods and buy those that are good for a good amount of time past my giving date. During the holiday season, adopt a family and deliver a basket of food for Thanksgiving and/or Christmas. Share your good fortune with others, if possible in some way. If doesn't matter if it's big or small. Good deeds mean a lot. One day you could be on the other end of that line, and know exactly what I mean. My husband and I aren't rich by any means. We are better off than many other people, and it feels right to do so. If you stockpile toys and small gifts throughout the year for birthday parties or other gift-giving occasions, go through your stash and donate what you can to a charity. Not only toys are needed, but many organizations such as women's and homeless shelters, and nursing homes, would welcome gifts for their residents. THAT is the spirit of Christmas! Is there a charity where you can bring your child to give a gift to a needy child? I want my child to understand how fortunate he and how important it is to help others. 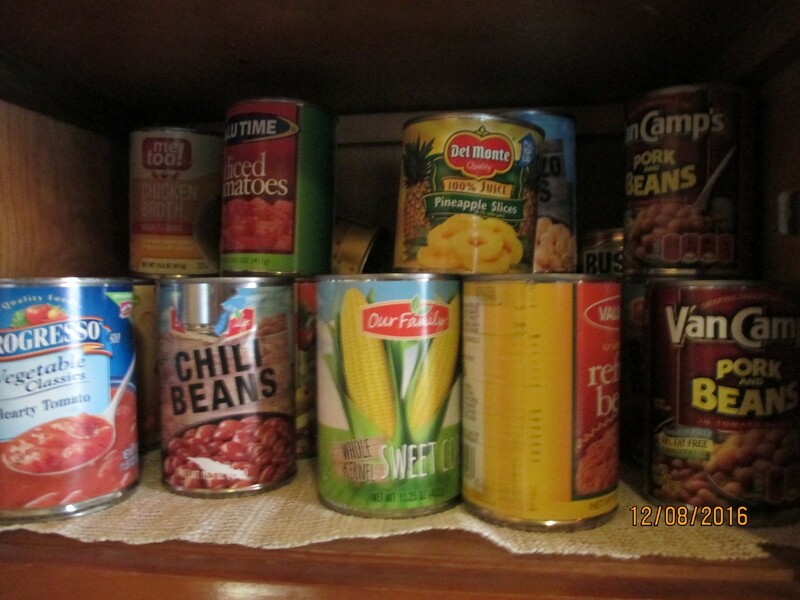 Check with your local food pantry, many churches work with these. Ours hands out what ever gifts it may receive, wrapped of course, to the kids and families. You might also check with your local extension office and see if they have info on any groups you could pick from. I commend your wanting to have your child learn such as an important lesson as giving and being charitable. However, I wonder if the child recipient would feel embarassed in such a transaction? Maybe you could take your child to a nursing home and give out gifts/cookies/etc to the seniors. Many seniors love those kinds of interactions and your child could meet the recipients of your charitable intentions. Look to area churches, social services departments or local Community Action or Salvation Army programs. They all have programs for families at Christmas, many without knowing the recipient. What a great gift for your own children!!! Mine are ringing Salvation Army bells this year and understand what the whole idea is about. Lets hope for a new generation of caring people. In our area the local malls have a tree with children's names attached that need some help at Christmas time. It is called an Angel Tree, you take the name, buy something for that age and gender child and return the gift/gifts to the Mall to a designated spot. When our daughters were little we would donate a gift to the mental retardation center. Our daughters would even take some of their own presents and donate them. We like to get children's names from the local Christmas Tree. Our son has always demanded one girl and one boy. Check with your local Scottish Rite, Shriner's, or Children's hospitals. Most of them need items such as clean, new tube socks for burn victims, books for recovering patients, etc. Call your Chamber of Commerce or some of the local churches to see if they have a need in their church. Sometimes, the Salvation Army can take donations to help families whose homes have burned and are inhabitable. Happy Giving! I am not the richest person in the world, but certainly not poor. I am wondering what other people might be doing this time of year to lend people less fortunate a helping hand without spending a lot of money (which I don't have at the moment). I get together with a circle of friends and pool our money to "Adopt-a-family" through a local charity. In our case, it's Salvation Army. This entails provide an item of clothing and a toy for each member of the family along with Christmas dinner. Other charities also have "giving trees" in which there are requests for gifts on ornaments in the tree, displayed at local business. One would pick an ornament and fill out the request--usually clothing, toy, toiletries, etc. These presents are sent to one central location and then handed out to the individuals, who may otherwise not receive any present at Christmas time. Christmas caroling doesn't cost a penny, and is much appreciated! Gather a group of friends or co-workers and go caroling at a nursing home, hospital, senior citizens center, day care center, etc. Just call ahead and make sure you'll arrive at a time when they are not serving a meal or dispensing medicines. Enthusiasm is much more important than actual singing ability, so don't be shy! Other suggestions: volunteer to help in a soup kitchen or food pantry; volunteer to ring the Salvation Army bell. If there is a local organization ditributing toys or food baskets to the less fortunate, call and see if they need help sorting or transporting. You'll soon have the Christmas spirit! Hi,the above suggestions are also what I recommend.Find a Fire Dept. Auxiliary if you live in a small town.Ours collects used and new Toys to make Christmas brighter for some "little ones" who might not have one.Although I am not a member,I volunteer along with many others to collect,wrap,wash,fix-up toys.Others "fix" dolls hair or sew Doll Quilts or clothing.Especially good for a shut in to do.We have the "Giving Tree" set up at our local Bank for new Toys for the children in Protective Services.Our Reading Club and others donate money for Books and Toys for both the Fire Dept. and CPS.There are two "Wilderness Camps" near us ,so our Church has a big Party for those Teens with lots of Food and Gifts.We have volunteers at our local "Ladies in Action" who give Food once a month.The Dec.was very generous.Remember the Homeless with warm coats,Blankets,or make Quilts. I,personally,work on Christmas all year around.I make Bows,Barretts,Jewelry,Stockings,and collect small toys for the "River Border Ministry" along the Border in South Texas.Those little children have NOTHING.My friend,who is a volunteer missionary started the Stocking Ministry about seven years ago.She and her helpers gave out 500 stockings.Last year it was 10,000.One stocking is all those innocent children get for Christmas.I hope some day to go down and see their smiles for myself. I just love this question! I wish you were my neighbor! Perhaps one of these ideas will interest you or inspire you. Provide transportation. Contact a charity or church in your community, and find out if they have a service of helping people get to medical appointments, go grocery shopping, etc. You might also contact social services -- I noticed when applying for medicaid for my children that there is a health transportation service available. Become an advocate for someone. One formal advocay program is the Guardian Ad Litem program, in which caring persons appear at court cases involving minors. A Guardian Ad Litem injects a third point of view in these cases, not just the defensive posture of the parent and the prosecutorial position of the social worker. Training in child psychology is not necessary, but you may need clothing that presents a professional image. Other possible areas for advocacy include senior citizens, terminally ill patients, children as patients, those with rare diseases, people whose religious convictions clash with "the system," people who can't read well, people who have trouble speaking English, people with physical limitations. Host an exchange student. There are young people in many countries who earnestly desire to learn American culture, improve their English, or attend a school with offerings not available in their own homeland. There are formal programs, and your church might also have an opportunity. If there is a college near you, there may be a program to provide social events and other help for international students. Evaluate what you do have. 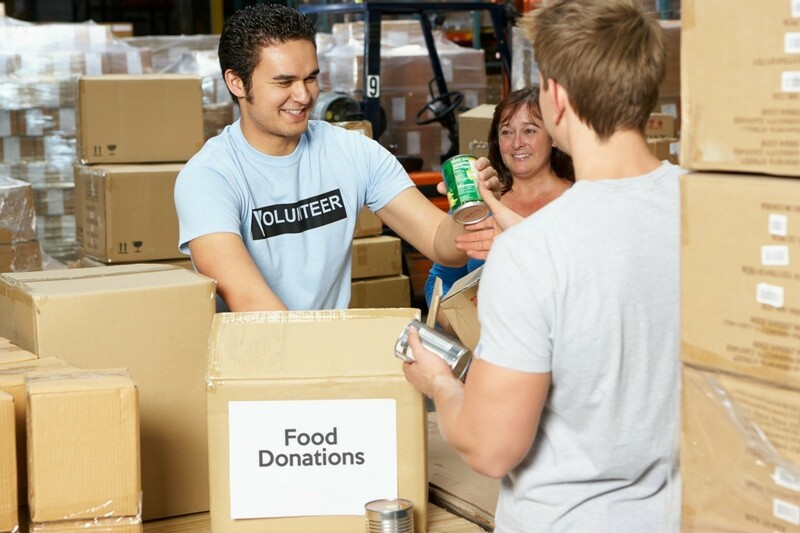 Besides giving unused clothing, housewares, etc to charities, there are other ways to help. If you have had a tree taken down, perhaps you can give away the logs as firewood. If you raise pets, there may be a way to give some to shut-ins or to children who might not otherwise make an animal friend. If you have an unused car, there are charities that take them to sell the parts, or if it runs well, perhaps your church or non-profit can help you find a person in need of independent transportation. If you love to bake, find a school or other organization that does bake sales. If you sew, there are people with unique cloting needs who cannot find or afford what they need. There just isn't much available for people who have difficulty dressing, who have missing or non-functioning limbs, and otherwise don't fit the expectations of the fashion industry. There are very few clothing sources for premature infants. The cost of maternity and nursing garments is prohibitive for some women. If you love children, you could volunteer at a school or library; there is always a need for people to tell stories, read books, and assist with special events. Various non-profits help parents find baby-sitters. You could be a crossing guard, or you could teach crafts or another skill in a scout troop or afterschool program. You could become a mentor to a troubled teen, volunteer at a home or school for disabled/retarded children, or rock babies in the neo-natal intensive care unit of a hospital. Or, put on a Santa suit or clown costume, and entertain sick children. Join Meals on Wheels and visit shut-ins. Find a church or other non-profit that is doing construction, and learn a new skill at the same time. Do you love animals? No-kill shelters need fostor homes for pets not yet ready for adoption. All shelters need volunteers to exercise active animals, clean cages, etc. There is a continuing need for nurturing families to raise various kinds of service animals. Perhaps you can help a shut-in care for a pet. Do you have computer savvy? Apply your web skills to help a message board for people united by a loss or illness. Become a monitor in a chat room for children/teens. Teach computing to seniors. Do you have administrative abilities? Can you bring out the best in people, keep a functional filing system, and answer the phone cheerfully even when stressed? Then you are a priceless treasure to some struggling non-profit. There are as many ways to help others as you can imagine. Consider your abilities, interests, resources, and then look around your community for a program that does that, or start one of your own. Hi, I am a pastor's wife, and we minister to the homeless. We have two places we minister to; one in San Francisco, where we walk the streets on Friday nights and hand out sandwiches. $5.00 makes two loaves of bread or 20 sandwiches. We also hand out blankets and socks. On Monday nights we feed shelter dwellers, all families or single women. The same applies to them, we make enough to feed 35- 40 and growing. They only receive food at the shelter on Mondays and Fridays. Another group brings in food on Fridays. We would like to expand it so they receive food 7 nights a week. If you visit our website, there are instructions on how to donate; also visiting any of the banners on our site brings in some support by clicking and/or signing up, and most of the sign ups are free. There is also a link to PayPal, which is the easiest way if you would like to donate cash in any denomination. Just imagine that $10 makes 40+ sandwiches! We are also collecting toys for the children, both in the shelter and in San Francisco. We need toys with a value of about $10. Sign up for our daily newsletter here, too. be the best friend anybody ever had--to all of your friends.true charity is a daily walk, more than it is a helpful act every so often. pray for people fervently-- God will help them. Have you accepted Christ's free gift of Salvation? That is the single most important thing any person can do. If you do not do that, all else is useless, for it won't be eternal. be eternally minded. are you saved? spread the gospel--save lives!!! it really is easier to give 3 cases of ramen to the local food shelter and feeln like you have fed many, but i am convicted that laying down our lives is the only way to make a true difference.